Former Soviet leader Mikhail Gorbachev warned on Monday that the world has reached a “dangerous point” as tensions between Russia and the United States spike over the Syria conflict. The Kremlin has suspended a series of nuclear pacts, including a symbolic cooperation deal to cut stocks of weapons-grade plutonium. 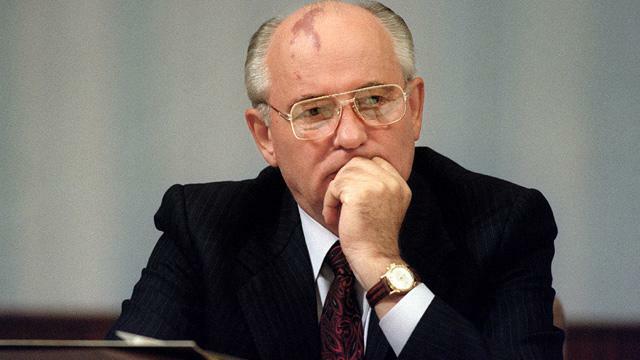 “I think the world has reached a dangerous point,” Gorbachev, 85, told state news agency RIA Novosti. From the today’s debate between Donald Trump and Hillary Clinton, it is imminent war will break out between USA and Russia on Syria issue if Hillary Clinton becomes the President of the USA, whereas, when Donald Trump become the President of the USA Peace will happen between Russia and USA. Not only that when Trump becomes president of the USA good relations will occur between Iran and the USA.